We love fall and it"s not only for the beauty of nature"s colorful cloak. It is also the season for all the big fat makers in the industry to pull the wraps off their latest smartphones. And what a blast these couple of weeks have been! And there is still plenty more to see before the month of Techtober is over but today we"re focusing on the new Mate 20 series, which is bound to leave a mark on the industry. Huawei Mate 20 and Mate 20 Pro premiered side by side at a special event in London. 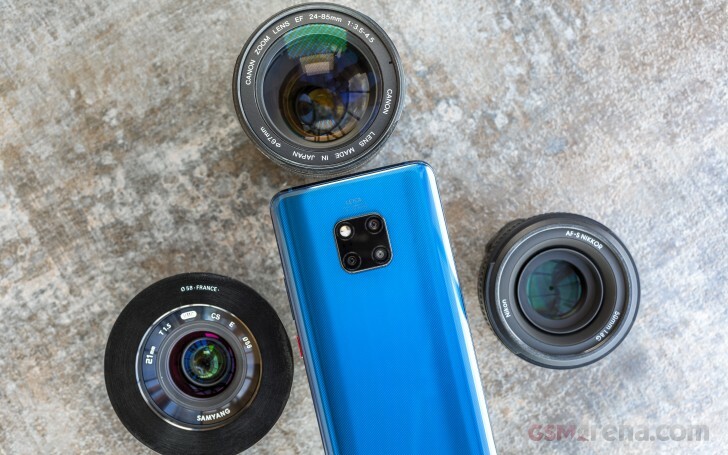 The Mate 20 Pro, which is in for a review today, employs all of Huawei"s latest innovations such as the high-res AMOLED screen, the large-zoom triple-camera, and 40W fast charging, while the Mate 20 cuts a few corners towards achieving a more affordable price tag. Just like last year, the Mate 20 Pro and Mate 20 are intended for different markets. And we can make an educated guess that most of the regions that got the Mate 10 Pro in 2017 will once again get the Pro model and vice versa. So, the Huawei Mate 20 Pro is the one boasting a curved 1440p AMOLED screen and the better triple camera with the largest optical zoom. It also enjoys a much faster 40W fast charging, in addition to the 15W wireless charging and there is even a reversed wireless charging support. The Pro is also IP68 water resistant, has 3D face unlock, stereo speakers, and an under-display fingerprint reader. In contrast to the Mate 10 series, this time around the Mate 20 Pro is not only getting the premium OLED panel, but it"s also the one with higher resolution. Last year the regular Mate 10 boasted a 1440p screen, while the Pro was limited to 1080p. Well, the Mate 20 lineup rights this wrong and the Mate 20 Pro is the one with the 1440p screen and the exceptionally high pixel density. And there is one more thing - for some reason, Huawei decided to innovate in the field of removable storage too and has come up with the so-called Nano Memory Card. It has the shape of a nano-SIM and supposedly makes the hybrid-SIM tray smaller. The benefits are yet to outweigh the inconveniences, so the jury is still out on this. At least the Mate 20 Pro offers a way to expand its storage, while the Mate 10 Pro didn"t have one. And now let"s cut to the chase, shall we? 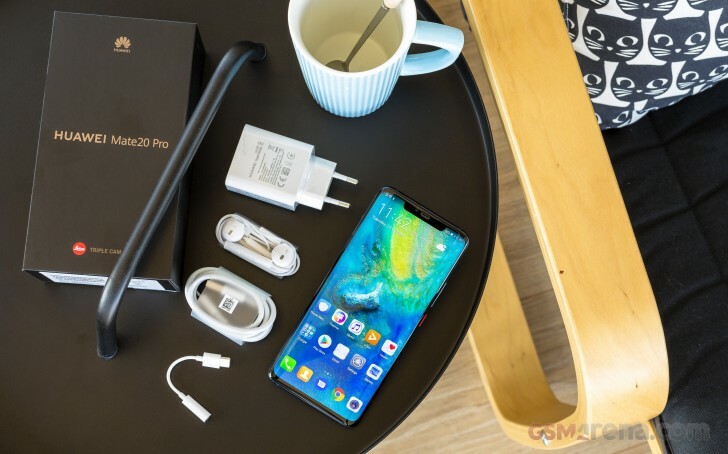 We"ve always liked Huawei"s bundles, and the Mate 20 Pro"s did not disappoint. The black paper box contains a fat 40W charger, the enhanced USB-C cable needed for the 40W charging to work, and EarPods-like cable headphones. You will also find a 3.5mm-to-USB-C adapter inside. 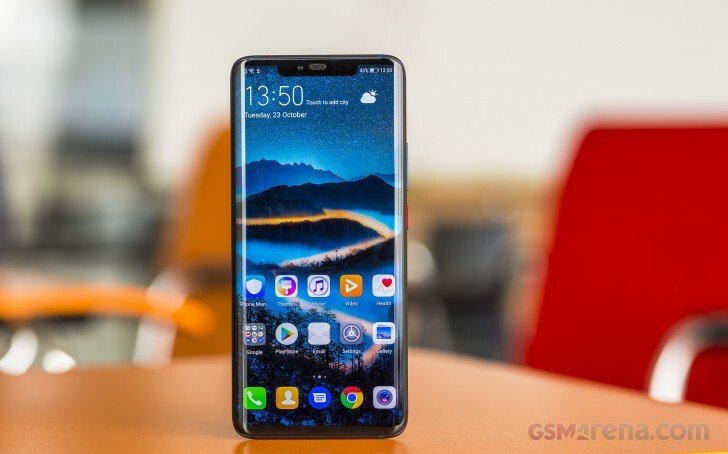 Usually, Huawei ships its flagships with a transparent silicone case but not all markets will be getting one in the box so yes, our reviewer"s unit missed out on that as well. Don"t get this wrong - we appreciate the bundle as it is. But what sort of cost-cutting benefits does the removal of this simple case have? Anyway, we digress. Let"s explore what the Mate 20 Pro looks and feels like on the next page.